Schools around the world are being encouraged to take part in a special live broadcast next month and host tea parties to celebrate the official 90th birthday of Her Majesty The Queen. Discovery Education has been given exclusive access to the Quadrangle at Windsor Castle, where a marquee will host a national schools’ tea party. 100 lucky children from UK primary schools will attend, in a unique celebration of the life of Britain’s longest reigning monarch. Your Majesty’ will allow pupils to step inside the historic royal residence — the family home of British kings and queens for nearly 1000 years. Aimed at primary school pupils, the engaging interactive broadcast will explore the nine decades of The Queen’s life, and shine a light on her role in the British constitution. Pupils watching will witness a live link-up between schools in India, Canada and the UK, and learn about Her Majesty’s special relationship with Commonwealth countries the world over. 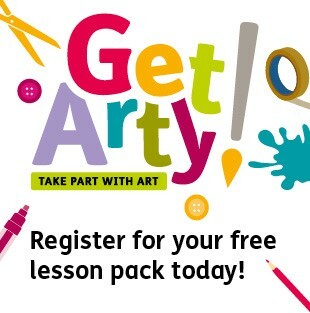 Featuring a glimpse inside Windsor Castle’s famous State Apartments, and a performance by the Choristers of St George’s Chapel, the landmark programme will allow children everywhere to play their own part in the birthday celebrations and enable schools to mark the historic event in a fun way with their own tea parties. Discovery Education wants to inspire schools everywhere to host their own tea parties, and is offering free resources to make it easy for them to do so. Fantastic tea party packs will be available to teachers registering to watch ‘Happy Birthday, Your Majesty’, enabling schools around the world to take part in this historic, one-time event. The ‘Happy Birthday, Your Majesty’ tea party is freely available to all schools, and teachers are encouraged to register online here: www.discoveryeducation.co.uk/hmq90 to access the tea party resource pack and watch the 30 minute broadcast on 10th June. Schools watching live will be encouraged to participate by submitting questions online via Twitter. An on-demand version of the broadcast will be available on the Discovery Education website after the event. The schools attending the tea party at Windsor are: Claycots School, Slough, Montem Academy, Slough, St George’s School, Windsor, Claires Court School, Maidenhead and Beatrix Potter School, Wandsworth. Dolly Parton’s Imagination Library UK is celebrating a very special milestone with the announcement that all 32 Local Authorities, in Scotland, are enrolling Looked After and Accommodated Children, under five, onto the pre-school literacy book gifting programme. Dolly Parton launched the UK Imagination Library in December 2007. The Imagination Library aims to inspire a love of reading from the earliest possible age by providing a free age appropriate book, delivered to the child’s home each month, from the time they are born until they reach the age of five. Since the first Local Authorities in Scotland became part of the scheme in 2011 over 100,000 books have been delivered to 2700+ Looked After and Accommodated Children. Recent research found that receiving the books is helping carers and parents to engage the children in reading and also assists with wider bonding activities. The Scottish Book Trust also supports the delivery of books through the Imagination Library with Local Authorities. As the Trust celebrates its Bookbug Week, Dolly Parton has recorded a special video message on the importance of sharing songs and stories from birth and has also contributed a special bonus track, “I Believe in You” to the new Bookbug Toddler CD . In addition to children in Scotland, Looked After Children in England are also benefitting from the scheme with under-fives in North Yorkshire, Bradford, Gloucester and Salford also receiving a book a month. 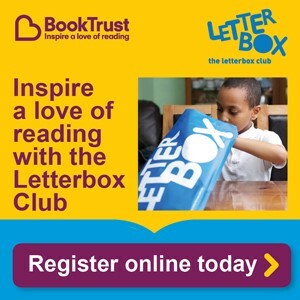 Over 100 communities and businesses in the UK are now part of the programme and over a million books have been delivered to children in communities ranging from the heart of London to Nottingham and North Lincolnshire. Almost ten years on from its UK launch the Imagination Library has helped tens of thousands of children develop a love of reading from the earliest possible age. The Imagination Library has delivered over 70 million books across the US, Canada, Australia and the UK since the programme was launched for children in Dolly’s home county of Sevier, Tennessee in 1996. Dolly Parton’s Imagination Library will be holding its UK conference on 9th June at the Nottingham Conference Centre, Burton Street, Nottingham, NG1 4BU. The agenda for the “Exploring Evidence, Inspiring Imagination” conference includes international speakers who will reveal an insight into the benefits of the UK Imagination Library, and also the introduction of picture books from the earliest possible age. Representatives from the Dolly Parton Imagination Library team and the communities it serves in the UK will explain how the Imagination Library is helping to improve the literacy skills of pre-school children. The conference is open to anyone who would like to learn more about the work of the library or who is interested in sponsoring the Imagination Library in their community. Cifas, the UK’s leading fraud prevention service, has asked the Government to include policy and legislative changes that will make tackling financial crime a clear priority in this year’s Queen’s Speech. Last year Cifas recorded 320,900 frauds on its database, a 16% increase in overall frauds compared to 2014 when 276,993 cases were recorded. Cifas believes that fraud is a growth business and this high volume crime is affecting more people, businesses, charities and public sector bodies than ever before. Data Sharing Bill: In the upcoming Data Sharing Bill, Cifas would like to see industry given clear guidance by the Government, backed up by the Information Commissioner’s Office (ICO), on the conditions for data sharing for the purpose of preventing financial crime and protecting victims across the private and public sectors; and a periodic central and local Government data audit to review what data is held and what data can be released to third parties to enable savings across UK plc. Financial Crime Measures: In light of the Government’s Modern Crime Prevention Strategy, Anti-Corruption Strategy and plans to legislate in the area of Anti-Money Laundering and Terrorist Financing, Cifas would like to see a more responsive funding formula for law enforcement that reflects the growing threat of cyber and financial crime; an enhanced national training programme for all police officers on fraud and cyber crime; a review of what support jurors need when faced with complex fraud cases, a review of the sentencing guidelines for financial crime; and the creation of a register of corrupt officials that employers from all sectors can check employees against. Cyber Life Skills Measures: In light of moves to a more Digital Economy, Cifas would like to see UK citizens develop a better understanding of how they can prevent themselves falling victim to fraud and cyber crime by ensuring: all pupils are taught about the risks of fraud and cyber crime in Schools; current fraud and cyber education awareness campaigns have the resources needed to make an impact; and the Government providing SMEs in all regions advice on fraud and cyber crime. “Fraud is a serious and growing problem in the UK. This crime has devastating effects on individuals, businesses and public services in the UK. Creative project developer, Kickstarter today announced the findings of its Learnometer research report. 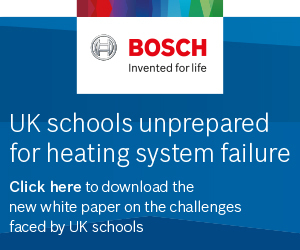 The report explores and measures the optimal environmental conditions for learning. Following a week in which children have been sitting the new maths, reading, spelling and grammar tests, the research project highlights the effects of various conditions, including temperature, CO2 volume, noise and sound on the performance of students. The research, carried out over a number of months, invited schools to measure their own learning environments, while the Kickstarter team measured over fifty examination rooms across the world. Professor Stephen Heppell, project leader and professor at Centre for Excellence in Media Practice, Bournemouth University, said, “The research clearly identified that various conditions have a profound impact on performance. The results show how these conditions can unfairly skew the outcome of children’s hard work. In so many cases they will perform below their best, simply because the environment they are in is damaging to their performance. It can be compared to trying to run 100 metres in heavy boots”. He continues, “It was fascinating to see so many teachers’ shock to realise from their own data gathering, why groups of children are disengaged, not concentrating, or underperforming. The Kickstarter team calls on all education environments to apply the findings to their own test and exam rooms. EduTECH exhibitor, Double First Ltd, the developer of Engage educational software, is delighted to announce it has won a 2016 Queen’s Award for Enterprise for International Trade, in recognition of its export growth since 2008. The firm has seen exceptional levels of growth in recent years, most significantly in the Asia Pacific and Middle East regions, with sales to international schools now comprising in excess of half of its total activity. Firmly committed to Australia, Double First is well placed to support schools in the country with a wholly-owned support office in Singapore and local support based in Australia. 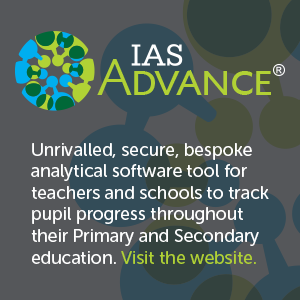 The company was founded in 1987 and later met the demand from fee-paying independent schools for a specialist management information system (MIS) and financial management package by creating ‘Engage’. Following self-financed research visits to the Middle East in 2008, the company rebranded to ensure its identity was fit-for-purpose for overseas markets. A breakthrough sale to St Christopher’s School in Bahrain was secured soon after. The close collaboration with St Christopher’s led to further understanding on how to sufficiently localise the software for other regions while retaining its core purposes. Engage has international capabilities, offers in-region support and is backed by a passionate team that has developed specialist knowledge of the academic and administrative requirements of individual schools through meeting with them face-to-face, across the world. Double First employs over 40 staff at its British operational base, which is where its products are developed, as well as a number of people in satellite offices around the globe. It currently operates in 33 countries globally and in four key regions – Europe, the Middle East, Asia Pacific and Africa. Within its integrated services, Double First offers consultancy, training, data conversion, best practice advice, expert support and free upgrades. For more information, please visit: www.doublefirst.com. 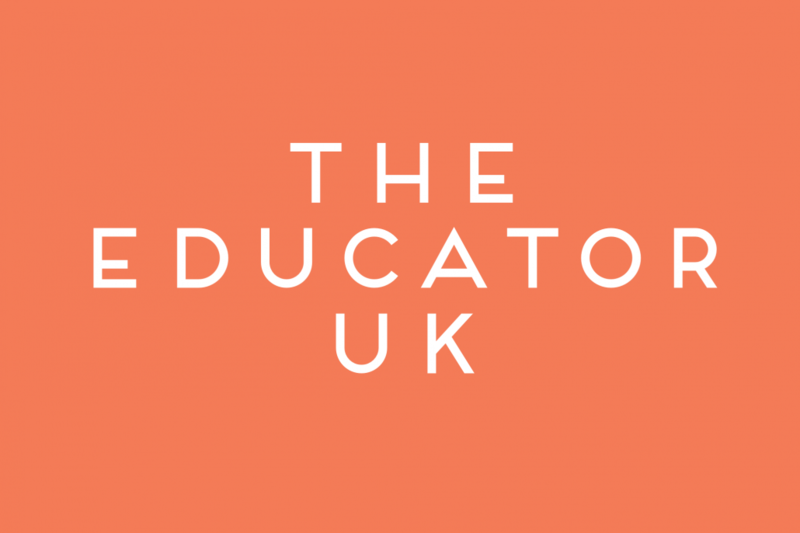 AN AWARD-winning online resource which equips young people to deal with life’s challenges has created a special support tool for those worrying about the controversial SATs exams. Insight4Life runs its Zumos programme in secondary schools across the UK and is currently piloting a version of the resource to primary schools, which gives young people access to confidential, expert advice on a whole host of subjects, along with daily messages to help promote positivity. 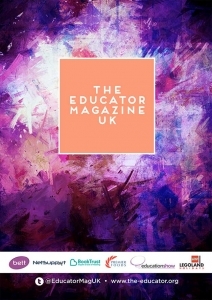 And in response to the recent outcry over the pressure SATs exams puts on youngsters, a special motivational message with sound advice on coping has been created by Zumos – and is available to download for free. The information – which is peer reviewed – reassures young people and gives them coping mechanisms for dealing with the exams. “Zumos helps young people to deal with all of their issues in a confidential way and gives them the tools to build their confidence which will last them a lifetime,” said Gary Siva, Chief Executive of Insight4Life. Zumos is usually only available to participating schools but the organisation has given this particular information to anyone who needs help or for any parent concerned for their children. 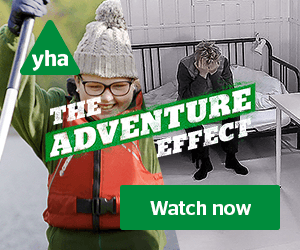 Zumos covers a vast range of subjects, meaning that any youngster who feels they have nowhere to go or are too frightened to ask for help can get vital information and support. It deals with problems ranging from coping with spots to bullying, abuse or even feelings of isolation and loneliness. Insight4Life is being used in a number of schools, which are able to control the information that can be accessed and which are also given statistical information about the kind of problems their pupils are highlighting. The organisation recently launched a primary school version of the programme, which is currently being piloted in three schools in Wolverhampton before being rolled out nationally. From September 2016, the 120-year-old Saint Felix School, Southwold will be led by new head James Harrison, who at just 33 years old has been promoted to the top job at the school. He takes over from Fran D’Alcorn, who has been at Saint Felix for over forty years. Some may say that this gives him large shoes to fill, but James feels more than ready for the challenge. His credentials are certainly strong: he is currently Deputy Head at the school, as well as Principal Examiner of A Level Ancient History training examiners across the country, and he joined St Felix after positions as Head of Classics and Housemaster at Bootham School, York and as Head of Latin at Barnard Castle School, Co. Durham. His personality is also well-matched to the school’s ethos, with a focus on the pupil-centred view of the educational process, and a firm belief in high standards for staff development. Founded in 1897, Saint Felix has undergone a number of significant changes since that time, including expansion to include nursery and pre-preparatory departments, and to become co-educational. James is incredibly proud of the school’s heritage, and its traditions but does not feel bound by them. “Our school ethos is to offer the opportunities and resources to provide each pupil with a high-quality and well-rounded education. I am particularly proud of the ability that we have within the school to champion the individual by cultivating each pupil’s own personality”. The school boasts a 100% pass rate at A level (based on 2015 results), and its boarding houses are full. Subjects with particularly strong performances include Mathematics, Latin and Classics, Arts and Textiles, Science, Photography and Drama, supporting the broad spectrum approach to education. “I have a huge respect for the school’s history, but I do not feel bound by it, and I am lucky to feel the full support of staff and parents in taking up the role of head. My overall ambition is to successfully merge tradition with future development,” he continues. “St Felix has a solid and very stable base from which to grow, and I am wholly committed to my future at the school, to its development and ongoing success”. James and his family live on site at the school, and his three children, aged 9, 7 and 2 all attend. This personal insight into the calibre of the education on offer has further deepened his commitment to Saint Felix. “I have seen at first hand how my own children have flourished as individuals, and how much they have learnt from being at Saint Felix”, he says. As a close personal friend as well as an inspirational predecessor, Miss D’Alcorn’s influence is certain to last for some time to come. Keen to continue the significant strides that she has taken to ensure that Saint Felix pupils are fully prepared to meet the challenges that they will face living in a rapidly changing world, Mr Harrison is also a champion of modern technology and its place in 21st century education. “Children need to understand the positive aspects of technology including social media. It shouldn’t be a threat to their present or future, and it’s part of our role as educators, alongside parents, to ensure that we teach children accordingly”. Mr Harrison takes up his new role as Headteacher from September 2016. The school welcomes any parents who would like to find out more about Saint Felix to attend their forthcoming Open Morning on Saturday 7th May 2016, 10am – 12.30pm. 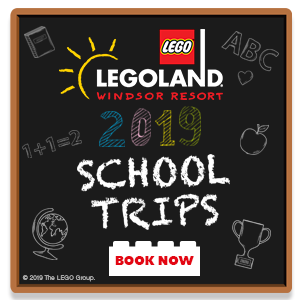 There will be an opportunity to have a guided tour of the school and stunning grounds, and visit relevant departments (Dragons’ Nursery, Pre-Prep, Prep and/or Senior) as well as to speak to teaching staff who will be happy to answer any questions. The morning will include a presentation from the Head, musical recitals, sports and a variety of departmental activities and exhibitions for all age groups. For further information or to arrange a visit at another time, please contact the Registrar, Miss Melissa Bridgman, by telephone on +44 (0) 1502 727048 or by email at mbridgman@stfelix.co.uk. Demonstrating Midlands Air Ambulance Charity’s commitment to the welfare and education of young people, the service has launched a curriculum-based Education Programme. Aimed at EYSF, Key Stage 1 and Key Stage 2 children (aged three to five, five to seven and seven to eleven respectively), the Sky Champs’ Education Pack has been produced in line with the national curriculum. The pack includes three whole school assembly plans, a safety pack, reading comprehension activities with cross curricular materials, writing activities, mathematics challenges and quizzes, all of which can be used as homework exercises. Each of the modules uses real life examples from Midlands Air Ambulance Charity, meaning the classwork is not only fun, but will also give pupils an insight into the charity. Jason Levy, fundraising and marketing director for Midlands Air Ambulance Charity, adds: “We are dedicated to supporting children’s development, not only to educate them about the importance of staying safe, but also provide them with some fun, yet important tools to help them with their classwork. The worksheets are easy to integrate into lesson planning and will assist teachers in meeting national curriculum targets. In addition to the new Sky Champs’ Education Pack, Midlands Air Ambulance Charity has two Education and Training Centres located at the Strensham airbase in Worcestershire and Tatenhill airbase in Staffordshire. 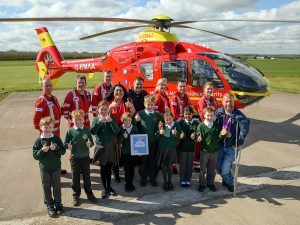 Schools are being invited to visit one of the centres as part of their outdoor leaning, where they will get a chance to meet the aircrew and see the charity’s air ambulance helicopter up close. To find out more about the lifesaving work of the Midlands Air Ambulance Charity, the Sky Champs’ Education Pack and the Training and Education Centres, please visit www.midlandsairambulance.com or call the team on 0800 8 40 20 40.